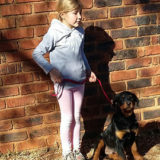 Dog Training for children is very helpful as they learn how to not get bitten, it builds up their confidence, makes them more caring towards animals and many more advantages. 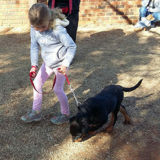 We have children as young as three years of age involved with the puppy classes. 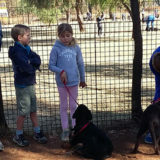 They are brought along by the parents so that they can learn how to approach a puppy, and vice versa. 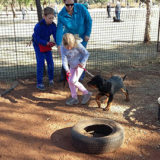 Older children do extremely well with regards to dog training, which builds up their confidence, teaching them not to get bitten, and is a healthy interest, instilling responsibilities and good values. 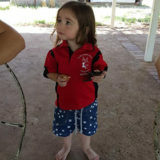 We find that children are excellent with the animals and truly enjoy the training. We have also found that children who interact with dogs in this way are normally more confident and definitely more caring towards animals. This can only bode well for future generations of animals, as well as humans. 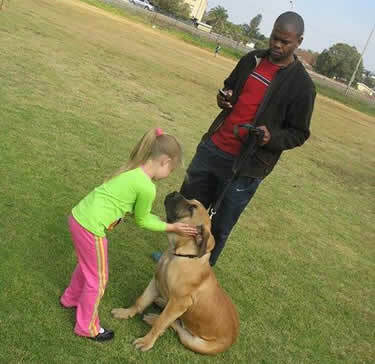 Teenagers are extremely good handlers and often compete most competently. They also enjoy the Agility/Dog jumping. Children are often more open to animals than humans, resulting in tremendous outlets for them. This helps to build the child’s confidence and prevent negative emotions and assist if the child is going through a traumatic stage in his/her life.